The debate over poetry in form versus — shall we call it ‘unformed poetry’? — goes back over a century, starting with Pound, Frost and Empsom reinventing poetry in English. 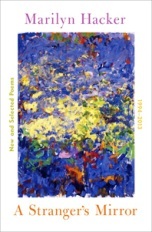 American poet Tony Hoagland calls it “New Poetry” in his book “Twenty Poems That Could Save America and other Essays” (Graywolf Press, Minneapolis, 2014). He defines it as poetry of diction, idiom, indeterminacy of language leading to irony and circumlocution — a broken connection between language and things. “Form” today, he says, is about exploring representation itself, not that which is represented. The free verse of New Poetry (also called ellipticism) allows for free associative images, with the shape of a poem ordered by its associative lines, which can be rearranged to make another poem, something Hoagland calls, “housing; new ways to construct a poem.” (Similar movements in art, music, sculpture, architecture come to mind. The conservative Prince of Wales might be thought of as a neo-formalist.) Hoagland lauds such new structural forms because, “we are always on a quest for greater expressive power”, whereas traditional forms exercise a restraint. Modern poets, he says, resist closed structures. Of Hoagland’s salvationist “twenty poems”, only three are in any recognizable form: one older poem with quatrains rhyming abab and two others as unrhymed sonnets. Only one poem represented may be considered as coming from a third-world poet, a pseudonymous American Indian. For a vigorous defense of formal poetry, we have our own Clive James (“Poetry Notebook 2006-2014”. Picador, London, 2014.) who rests his case simply by citing the masters whose work we remember: Yeats, Frost, Auden, Wilbur, Larkin, Betjeman, Berryman, Bishop, Merrill, Donaghy, and Fenton. A committed formalist, James, however, grieves: “By now the game has irreversibly lost its net: you have to pretend the net is still there”. This brings me to Marilyn Hacker’s compendium of new and two-decades’ worth of selected poems. (Disclosure: Marilyn is a friend of mine.) Born in 1942 in New York City and now living in Paris, Marilyn has published fifteen books of poetry and a dozen books translating poets writing in French, several winning major prizes along the way. She composes in forms. Within the current collection we find all the major forms described by Turco, and variations on those forms, from crowns of sonnets to ghazals, quatrains to alcaics, glose and terza rima, haiku and renga, sestinas and canzones (the latter sestinas on steroids), blank verse and free, sapphics and rondeaus, as well as nonce forms of her own devising. I asked Marilyn whether she decided first on a form and then fitting the poem to it, or the other way around. She told me that the idea usually comes first, then the rhythm of the first lines suggests the form (which is how Elizabeth Bishop’s “One Art” quickly expanded into her classic villanelle). Hacker writes in form because this is how she hears the words falling into place. I had to consult my Turco to remind me about alcaics, a “quantitative accentualsyllabic Greek quatrain stanza.” The first two lines have eleven syllables: an acephalous iambic, two trochees, two dactyls, in that order. The third line begins with an acephalous iamb followed by four trochees; and the last line comprises two dactyls followed by two trochees. Tennyson’s ‘Milton’ is the exemplar. Let me offer as another example the first half of Marilyn’s “Alcaics for a wedding”.
. and new exigencies of vocation. If the title hadn’t alerted us to the form, and we weren’t scanning the lines, we might think, “Oh yes, another bit of narrative posing as a poem with chopped up prose”. But two things to observe: a formal kind of music underlies these words — music that the poet heard while composing — that gives the poem its drive; and, second, the poet is forced to make inspired word choices (“best words in best order”) by giving up conscious control of the poem. With the use of form in its many variations, Marilyn lays out a vast palette of quotidian moments and feelings: from arrays of food in an outdoor market to sensual arousal (one critic commented, “no one writes about lust and lunch like Marilyn Hacker”); from childhood memories to elegies for dying friends and her own brush with cancer; from impassioned polemic against injustice and paeans to left-wing and feminist causes; and to memories of the Holocaust. All these are written with restraint, the kind of ‘poetry of witness’ that is most compelling. is dead meat, with its pickled blight on view. She’ll kiss the scar, and then the living breast. Marilyn Hacker’s poems display the formal power of poetry harnessed to what morally counts, and memorably so.